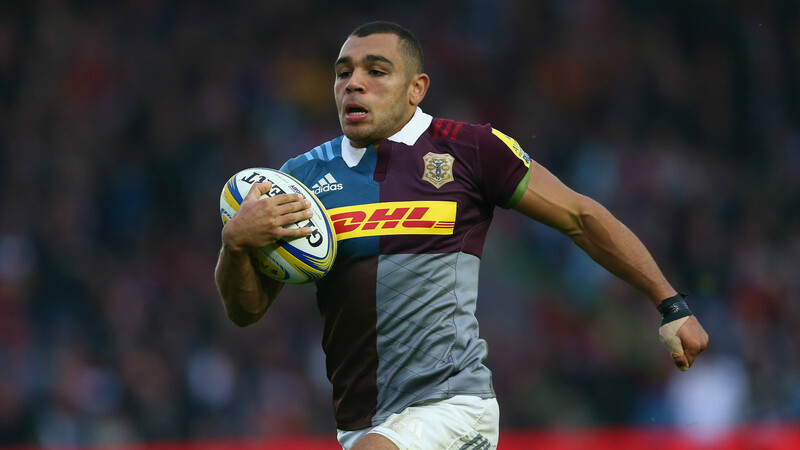 The Quins centre and England star of the future offers a crash course in the game. Making it as an elite athlete in any sport is tough enough at the best of times, but for those seeking a career in the world of rugby union it’s a whole different kettle of fish. Demanding training regimes, a strict diet and an intense focus on fitness are all par for the course in a sport that sees individuals put their body on the line for 80 minutes at a time. 20-year-old Joe Marchant knows this only too well. 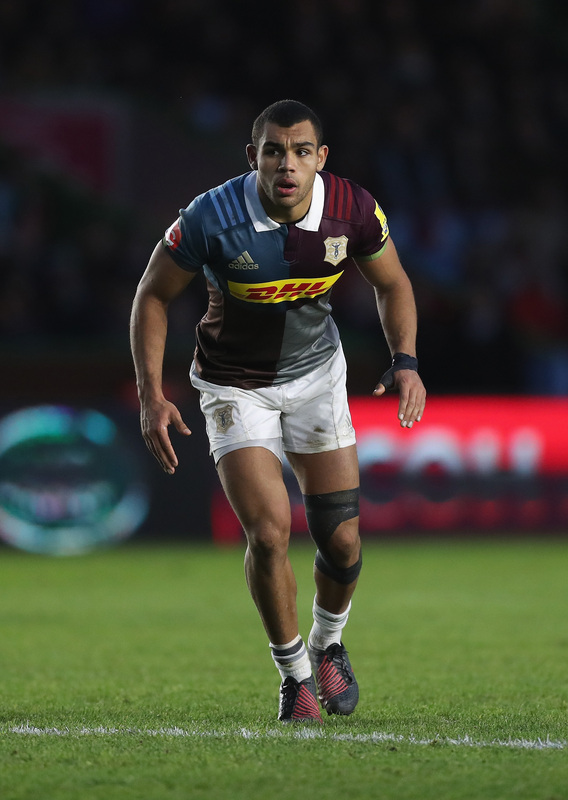 A rising star in the world of rugby union, the centre’s fine form for Quins resulted in a call-up to Eddie Jones’ 45-man training squad last summer and a subsequent place in the squad for the Autumn internationals. But Marchant knows that his long journey in the game is only just beginning and having forced his way into the Quins first-team picture, the real test of his wits and physical endurance begins now. Speaking to loaded, he lifted the lid on what life is like for those players living the dream in the AVIVA Premiership and the work that goes into it each and every day. loaded: What does your average week of training look like in the lead up to a match? Marchant: We have 3-4 sessions during the week. Of those, two or three are rugby sessions. One will be full contact and this will usually be later in the week. This helps to make sure that our bodies are used to the impact and it just keeps everything ticking over from weekend to weekend. We also have gym and fitness sessions here and there to make sure that, when it comes to games, we are as fit as possible. The mornings are not too early and we get to finish up around 3.30pm each day. Training is more intense at the start of the week because as it moves towards game day we want to chill out and rest up our bodies to ensure we peak at the right time. The beginning of the week is when training is at its hardest; more contact sessions which lead into more organizational sessions towards the end of the week. These sessions help to make sure everyone knows what they are supposed to be doing. loaded: Do you have a favourite exercise? Marchant: I prefer more conditioning games. A lot of clubs just focus on normal fitness, but here at Quins we do a lot of rugby sessions which involve lots of little games, lots of running and lots of time with your hands on the ball. It’s pretty knackering as well. loaded: Does this help when prepping for an actual game? Marchant: Yes, and it’s probably more intense than a game because in a game you get stoppages here and there. Especially for me being a back because I don’t have to be involved in any of the scrums or line outs. When these are happening I am just waiting for the game to get moving again. But when we are doing our training games it’s really intense with 2-3 minute blocks. It’s not very often in a game you get beyond that. It’s really hard but also really fun getting to throw the ball around. loaded: What does your diet look like? Marchant: As players our diet is reasonably strict. Of course we all know not to eat bad food all the time, otherwise when you start playing the game you won’t feel at your best. We have to eat 4-5 meals a day and that includes lots of protein and carbohydrates. They try to get me to eat my veg but that’s always a struggle! I am quite small and actually need to put on a bit of size, so for me it’s about eating a bit more. But I do believe that there is nothing wrong with treating yourself every now and again. I’ll have a bit of chocolate here and there, but I just won’t overdo it. After a match we will definitely treat ourselves. Everyone just has everything in moderation, really. loaded: Putting on size, how do you accomplish this? Marchant: The size thing mainly comes down to what I eat. The guys who have bellies on them get stripped of the goodies and have to keep their calories down. I have to eat a lot more because in the backs we do a lot more running than the forwards so the weight comes off easier. Otherwise, training is all the same really. We do the same gym sessions, although the bigger guys may lift a bit heavier! loaded: Do you take any supplements? Marchant: The nutritionist here at Harlequins likes us to have protein intake every three hours. Obviously eating meals every three hours during the day is quite hard because you get so full so to help with this intake we have shakes after training. This is normally after our gym session. Marchant: As a team, we spend the day together. Personally I like to chill out before the game and talk to whoever is there. I don’t like to wear my headphones constantly because otherwise it all gets to me and I get nervous. A lot of the boys do usually listen to music so I am usually there looking like a lemon. Just before the game I will listen to one song to get me ready for the game. loaded: How do you prepare for the match in the 24 hour period before game time? Marchant: This is the time for down time because the game is the most important part of the week and we don’t want to be knackered going into it. 24 hours leading into it we will have a team run and go through our plays just to get our organization sorted and then we can chill out for the rest of the day.